The Senate has just passed a resolution apologizing to African-Americans for slavery. The House passed their version of the apology in an earlier resolution. A major difference between the two is that the Senate resolution specifically states that the apology is not a basis for slavery reparations. The House version didn’t address reparations. There have been all kinds of apologies in recent years. We’ve apologized to African-Americans for slavery in America, to Native Americans because we took their land and mistreated them, to Japanese-Americans because some living on the west coast were put into camps during World War II, to the people of Rwanda because we didn’t stop them from killing each other, and so on. President Obama is apparently taking it to the next level, apologizing to the whole world because we’re, well, Americans. All that apologizing is often completely meaningless. It doesn’t change history, and when it involves someone who didn’t do anything apologizing to someone else who wasn’t alive when the offense occurred, it’s especially pointless. — None of my ancestors owned slaves, and I didn’t promote slavery back in those days, so what do I owe? Why would I owe anything? 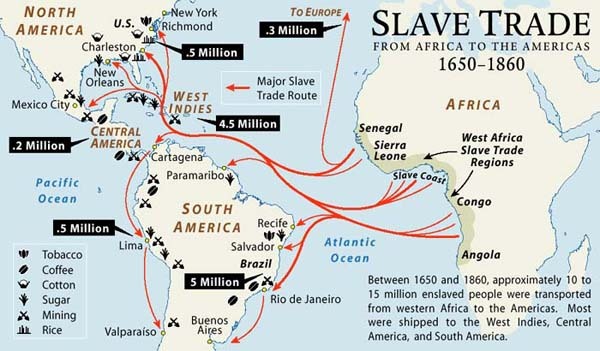 — Would the ancestors of black slave owners (yes, there were, and more than a few) also have to pay reparations? Would they receive reparations? — Would people of mixed racial ancestry pay reparations, receive reparations, or both? Would President Obama’s white half pay his African-American half, zeroing out his obligation? — Would African-Americans whose ancestors came to American long after slavery ended be owed reparations, too? Back to President Obama. — What about the 350,000 or so white soldiers who died fighting for the Union in the Civil War, which resulted in freedom for the slaves? Do their descendants have to pay reparations? Or will reparations be paid to them? — What about more than half a century and billions of dollars in welfare programs, along with affirmative action and quotas that gave African-Americans preference at the expense of other people? Does that count? — What about all those sub-prime loans that played a big part in causing the current economic crisis? Remember, those were mandated by the federal government partly as an answer to “red-lining” and generally to ensure that poor folks, many of them African-Americans, could buy homes they couldn’t afford. That cost us an awful lot right there. — How will all these questions be answered? Will it happen in a court, with due process, where fair decisions can be made about who, individually, has to pay what to whom, individually? Or will Congress just pass a law that the President will sign, requiring all white folks to pay a bunch of money to all black folks? Wouldn’t that be, well, racist? Now, don’t start yelling at me. I’m just trying to understand this whole business of reparations. I’m more than willing to pay whatever I owe to whomever I owe it, as I always do. I’d just like to know why. I can’t think of any other logical contradictions that you’ve missed. My family were poor Irish and Scotsmen. In slave days, “my people” frequently did work that was too risky for a farmer to use his slaves doing. Tom, I am not going to yell at you but rather congratulate you on a well conceived piece. As you have cited there are no clear definitive boundaries to be able to address this issue. That said, should someone apologize to me because my taxes paid for their welfare check and food stamps? As President Obama’s income redistribution plan is realized, I imagine I will be apologizing to charities I once supported when I tell them the president has decided which charities I will now support through my increased federal income tax. The issue of apologies for deeds long past done by people who are also long past done is totally ridiculous so its logical to conclude that the Obama administration will push it to its limit. Personally, I think I’m owed an apology by the U.S. government for the way they have wasted and are continuing to waste my taxes. Anybody ever seen “Kingdom of Heaven”? Here’s a quote from that movie that sums this up pretty well. It has fallen to us, to defend Jerusalem, and we have made our preparations as well as they can be made. None of us took this city from Muslims. No Muslim of the great army now coming against us was born when this city was lost. We fight over an offence we did not give, against those who were not alive to be offended. A resolution is not a law and the Senate version says the resolution is not a pretext for reparations. Bill Clinton did, in fact, apologize for slavery, but the House and Senate never have. The leader of Australia recently apologized to the indigenous aborigines who were mistreated by the white settlers who even took their children away at one time. The suggestion that certain Americans owe repartitions and others don’t is ludicrous. The present welfare program is the US is called TANF and an adult can only receive welfare for 60 months in their lifetime. Many people who have part time jobs aren’t’ eligible. The right tends to exaggerate the US welfare system as something those black folks are getting. The US meltdown was caused by the Bush Ownership society, the repeal of the Glass-Steagal act (1933) in 1999 which had required barriers between the commercial and investment banks. The SEC also changed the reserve rules for 5 banks in 2004 which directly led to the meltdown.